� Alpha Company at Danang, April 1966. This picture was at Camp Reasoner. � Actor Don DeFore from the "Hazel" show is center, kneeling without the cover. 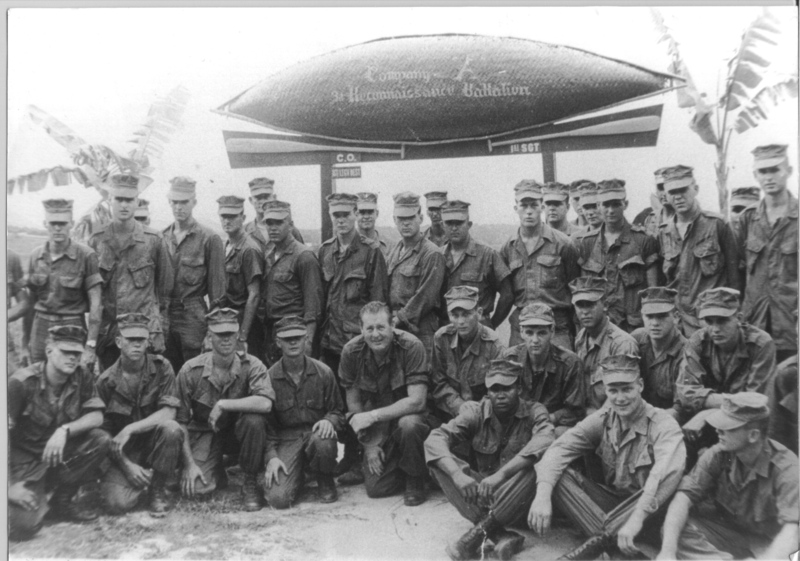 � Photo taken April of 1966 on top of Dong Den Mountain 2nd platoon/ Alpha Company. � Memorial Tribute to those Marines lost on the Striker Patrol. 30 June 1967. � Cpl. John Goodwin (A Co, 3rd Recon Team Monotype 2), and Lt. Gordon Wilson (C, B 3rd Recon) in 1964. � Five Painted Faces / Patrol led by George Neville. � Memorial Page for Doc Sawyer Photos by Frenchy and Doc Sheriff. � Platoon Picture of Alpha Company Help out identifying the recon Marines in this picture. � �Recovery at Party Line 1 site. 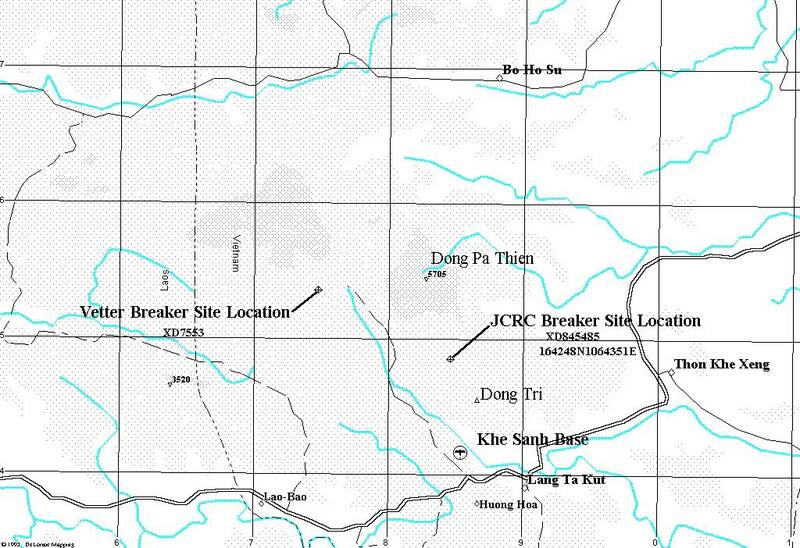 A Shau Valley. Also photos of Striker patrol. 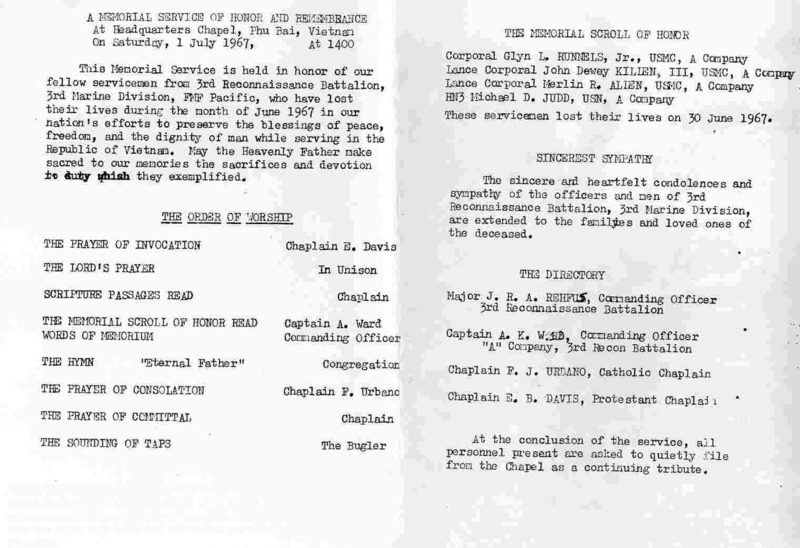 � Page from the Memorial Tribute to those Marines lost on the Striker Patrol. 30 June 1967. � Theodore R. McElroy Jr. KIA December 1966. � Breaker Patrol Transcripts, Maps, Photos.